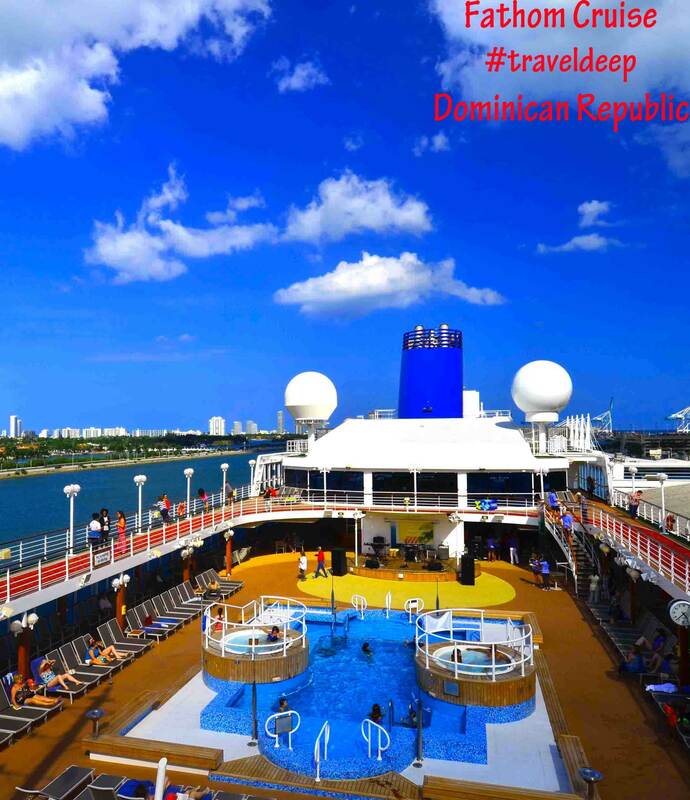 Fathom Cruise to the Dominican Republic – Our trip was aboard the Adonia. It was a very enlightening and fun voyage. It was a chance to see another side of the country that most tourists never get to see. It was also a chance to meet new people and do some good, no matter how small it felt. Often times, l, and l am sure a lot of other people, tend to feel guilty about being so fortunate.How often have you been at a resort with all the conveniences, only to take a look at the people serving you your drinks, food etc. You notice the difference immediately. You may want to help, but not know how. Fathom is here to show you how to #traveldeep. The majestic Fathom Cruise ship Adonia! The Adonia has been on the news lately as the first American cruise ship allowed to dock in Cuba in over 50 years. 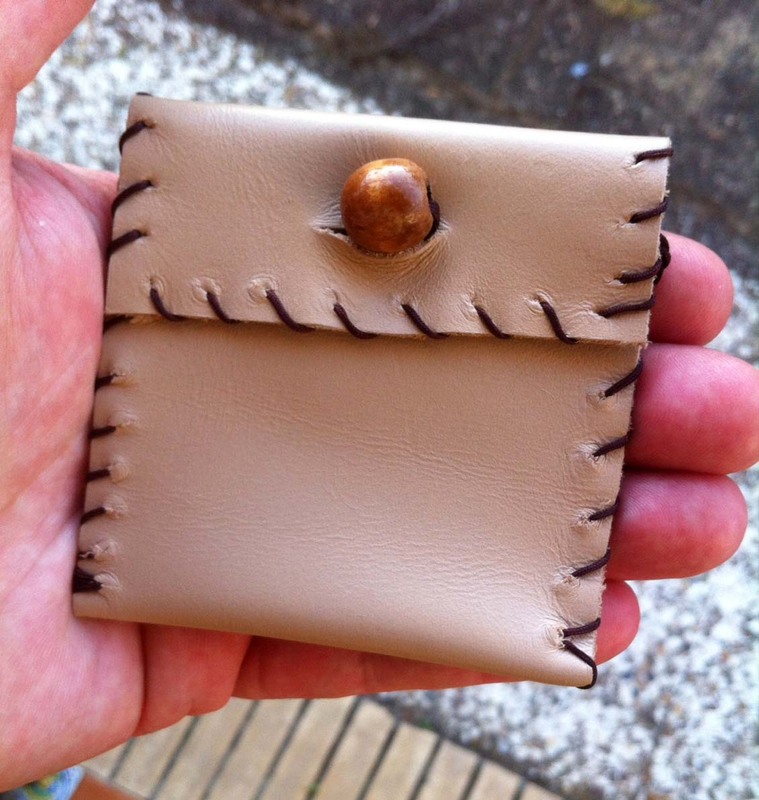 It travels to the Dominican Republic on alternate weeks. 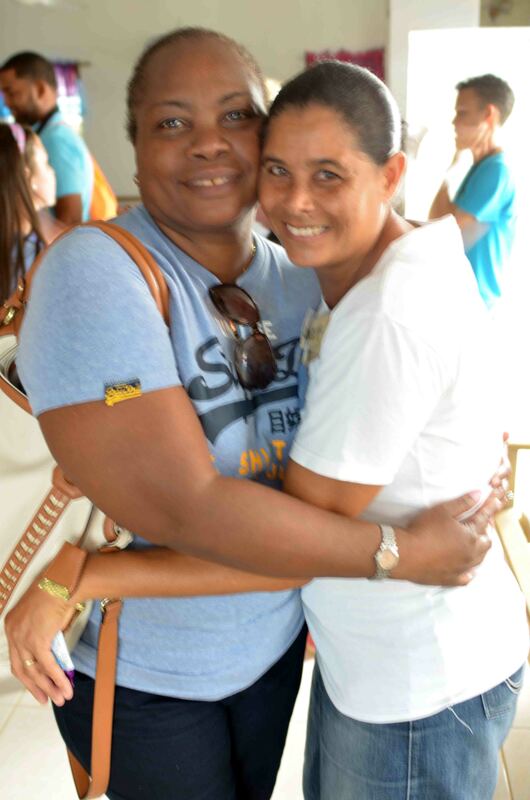 We were invited to cruise and learn about the new Impact travel by Fathom organization. We gratefully accepted. It was definitely something that interested us. Our prior visit to Punta Cana years ago to a resort was fantastic, but a bit uncomfortable. We left the nice resort enclosure to go explore the inner city twice and got to see the poverty first hand. It was quite the contrast and we felt it sharply. I have seen it in Nigeria, India and other places that we have visited. Thinking only organizations like Youth Corps was the only way to help, it was nice to know that there is an alternative with Fathom. 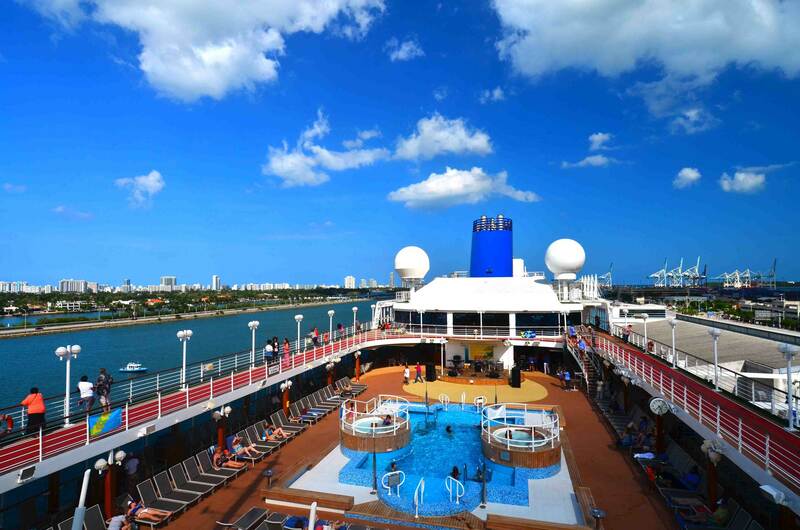 Our journey started from the Port of Miami, a lovely destination all by itself. We left on a Sunday at 4PM. We arrived at Amber Cove in the D.R on Tuesday afternoon. We were docked there till Friday afternoon leaving plenty of time for our impact activities. Between the Sunday and the Tuesday, we had a few classes with our group leaders where they explained the various things and what we would be doing in detail. There were optional classes available. I took the Spanish Phrases class. It will be helpful for me in Seville for sure :-) . Education – Community English conversation and learning. Then it was our turn. Me and me dancing by myself as Federico refused to dance. We were divided into groups. Ours was number 5, and our group leader was a very enthusiastic young man named Gil. His joie de vive was infectious. 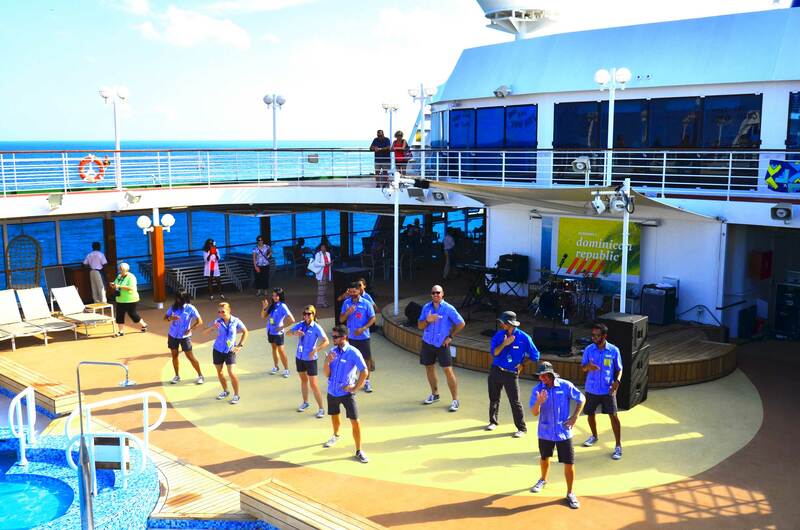 He also taught the Fathom Cruise shuffle to the guests :-) . That was a lot of fun and broke the ice on the first day. Our group leader Gil! I couldn’t have asked for anything more :-) . He is so passionate about his job. The Adonia is a 704 passenger cruise ship. Compared to the behemoths, it is a small and cozy vessel. This means you become friends with other passengers as you see them often. You already have something in common, a mutual desire to help those less fortunate, a definite starting point. We got to meet people from all over the States. 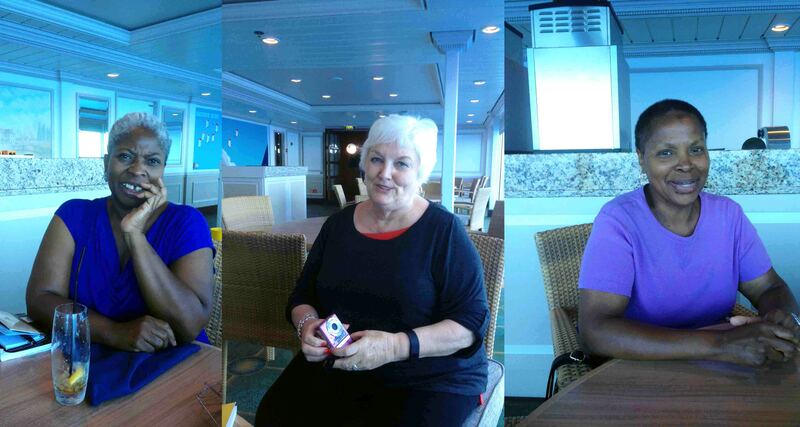 There was a big contingent of travel agents on this cruise and it was fun to hear their opinions on a variety of topics. Some of our new friends. Delightful ladies. Though smaller, the Adonia has a full size spa (only got a manicure this time), a gym, a pool and my favorite..a lovely library. There were lots of places to grab a bite and it was nice having dinner at the Pacific Grill where the food was excellent. Each and every night!!! Kudos to the chefs!. I’m pretty sure we gained a few pounds on the trip. The house band was fabulous. The lead singer has a really good voice. Each night, the entertainment ranged from a movie to salsa lessons to board games. 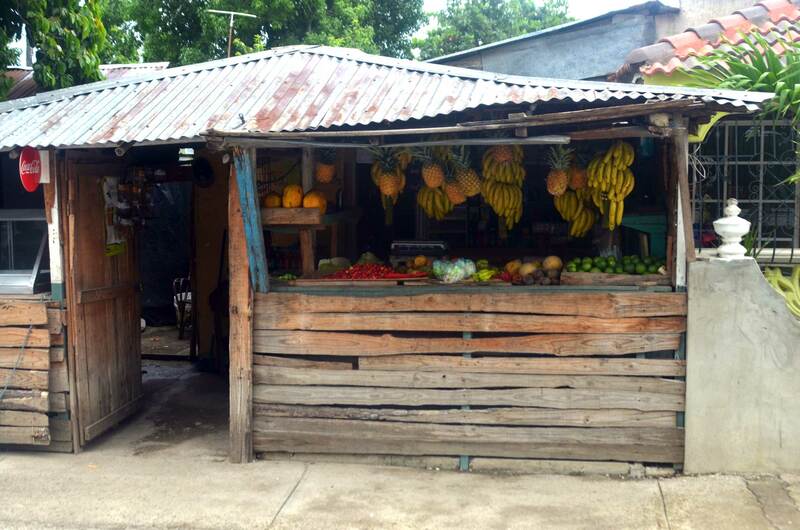 The average household income in the Dominican Republic is less than $6,000, and more than 40% of the population live below the poverty line. Fathom has partnered with companies on the ground to make an impact. We were led on our sessions by representatives of a company called Entrena while we were docked. They were kids from the very same communities who had bettered themselves by learning English and were now gainfully employed. This was our first impact activity. We visited the Chocal factory. This company was founded by 22 local women. Here in this small house, they make and package chocolate. For 3 days every two weeks when the Adonia docks, they get approximately sixty extra pairs of hands which help increase production. 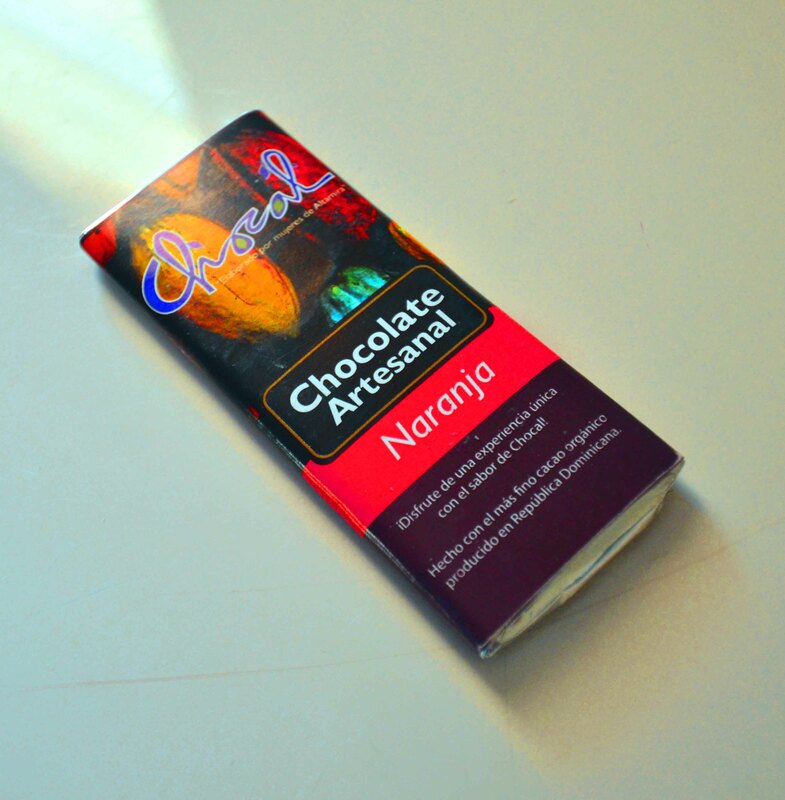 We got to do the labor intensive parts of the production leaving them time to do what they do best – make the yummy chocolate . We laborers :-) got to separate the bad cocoa beans from the good. We also removed shells etc. that snuck through the separation and grinding process. This involved a lot of shaking trays to separate the slivers of fine chocolate from the pesky. Good eyesight and patience is definitely needed :-) . It was a lot of fun! Hearing some of the stories of these women, you are happy that they no longer have to travel over 2-3 hours each way to work. 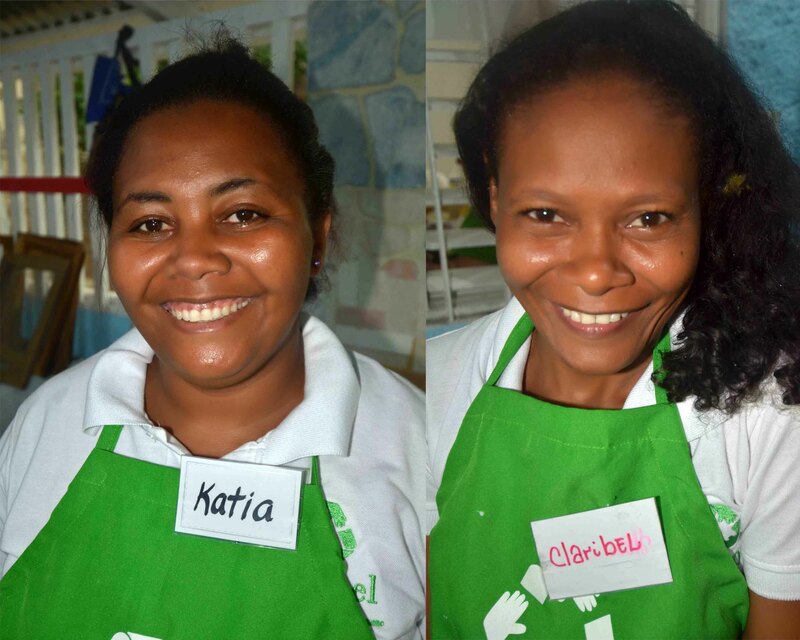 Being in their own community, they can have a shorter commute and spend the precious time with their families. The final product. Quite delicious. Working hard.. Sounding out the lumps and bubbles by hand..labor intensive and tiring. Some of the lovely ladies at the recycling paper company. Everyone was put to work. 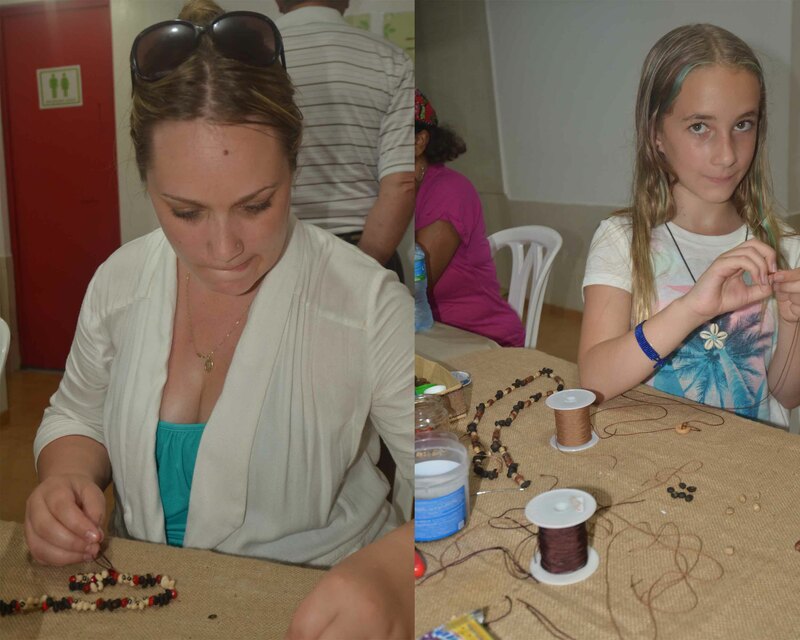 A mother and daughter team helping to make jewelry. Here, you really felt you were helping. On an average day, the women in this company make about 40 pages of paper. On the day we went, we made 134 pages in just our afternoon group. You can see what a big impact Fathom has on their production. 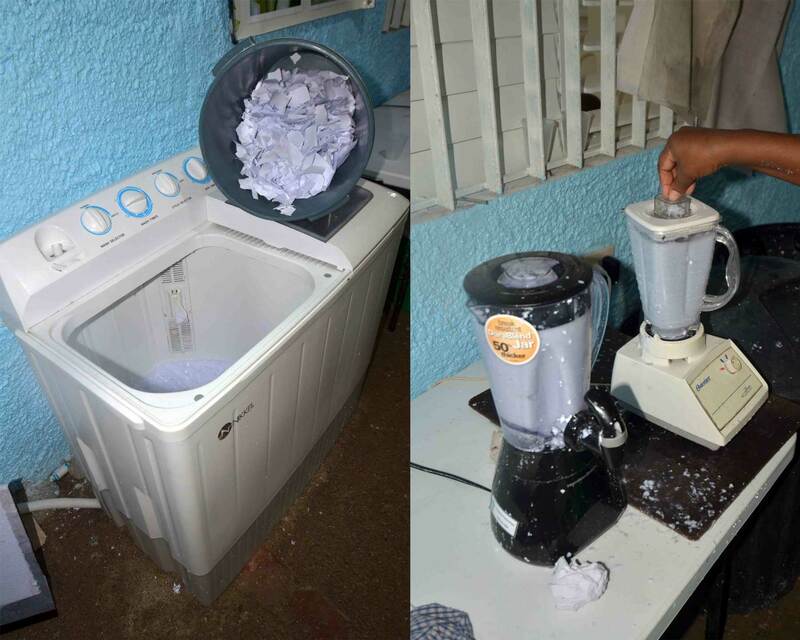 Our job was to separate the inked paper from the white and shred by hand into little pieces which were then put into a washing machine and then blended with just two household blenders. This mixture was then put into sinks. My favorite part was filling over filling the mold, then staying still to let the excess mixture strain out leaving you with a page where you then transfer it to a flat surface. This is then dried in the sun..and presto..recycled paper. 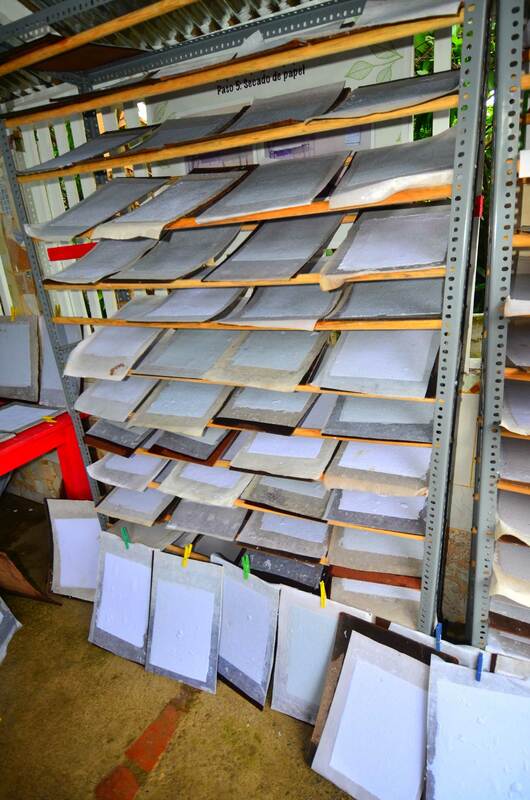 Some of the steps required in making recycled paper. Washer to blender. This was by far my favorite impact activity. Federico was a bit worried with his Italian accent, but it turned out fine. We visited the little town of San Antonio where we were met by Antonio, the town pastor and mayor at large. We were given the lesson of the week. There is a binder that contains the basic English course. The first fifteen minutes is spent refreshing their memories of the last lesson, and the remaining time on the new lesson. My partner and l taught 7 people while Federico and his partner had 5. I was really surprised at myself at how much l enjoyed teaching and reinforcing. Everyone was so eager to learn. I started out with just two people and later on a very shy boy and his even more shy older sister kept looking in and l eventually talked them into joining us. By the end of the lesson, they were sad, as was l..time went by so quickly. It was very gratifying. You’re sure to find something to your liking. Up to three impact activities are included in your trip. You are under no obligation to do any of course. You can just chill and have a regular vacation, but it was really great to see everyone rushing about going to classes and doing impact activities. The Craze Band lead singer. 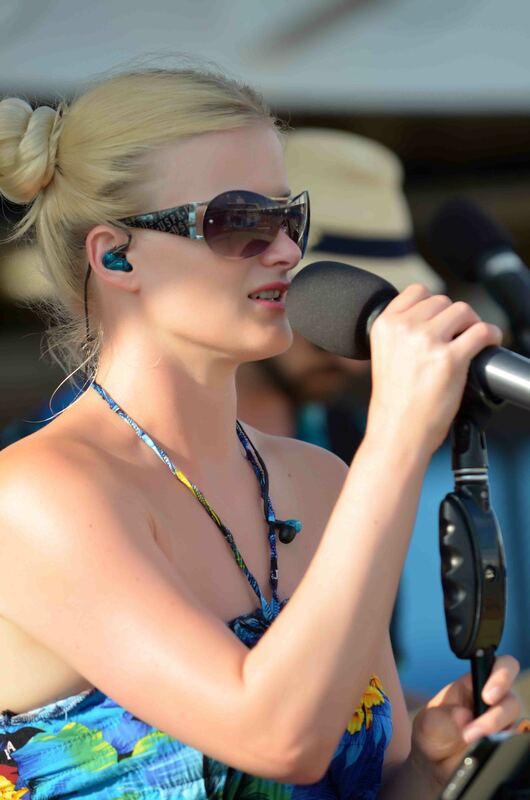 Awesome voice. 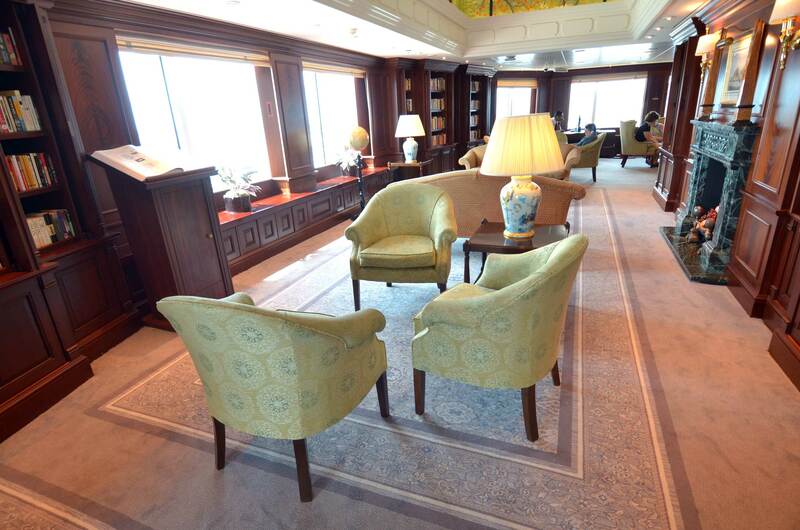 Do we recommend Fathom Cruise? A resounding yes is the answer. 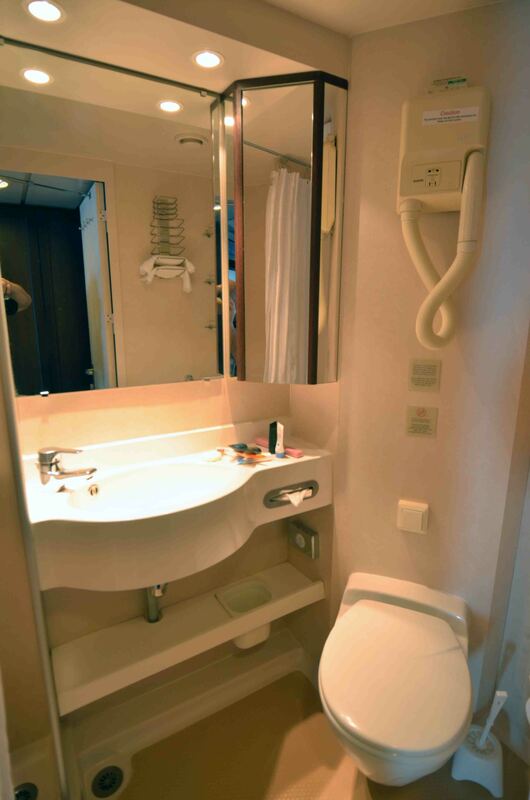 I did have a conversation with one agent who said she wouldn’t be recommending this cruise to her clients because she felt it wasn’t enough, like for example..the cabins did not have the bath robes promised. She thought l felt the same. My answer to her was that this kind of trip is more about the people you are helping and less about you the individual. Someone who would whine about something so trivial should be on a fancy cruise. This is more for an altruistic, socially conscious person. Nothing wrong with wanting all the luxuries on a cruise, but your big picture should include your destination and your purposeful travel. She however knows her clientele best. I have no qualms about recommending it. Of course there are going to be minor hiccups, after all…it only got started in May..we were the fourth set in. I hope our readers are more forgiving and truly want to make a difference :-) . 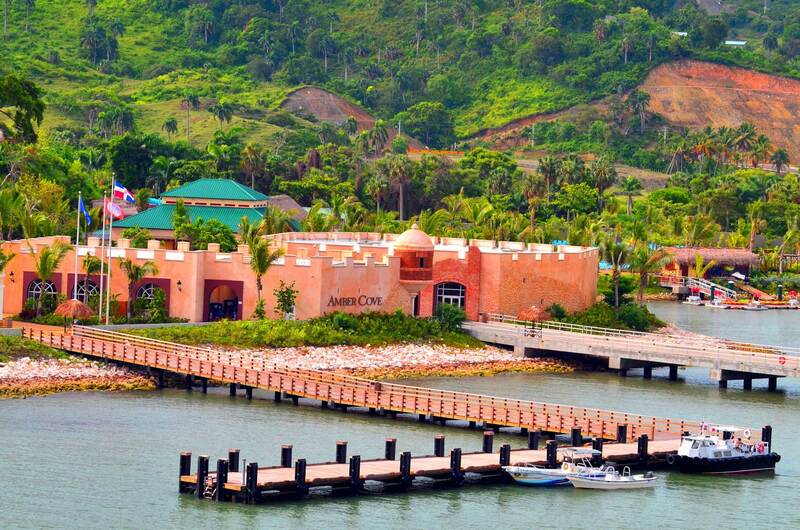 This cruise gives you the opportunity to help the less fortunate and to have a lovely vacation as well. We usually donate money, but it felt good to be on the ground helping for a change. 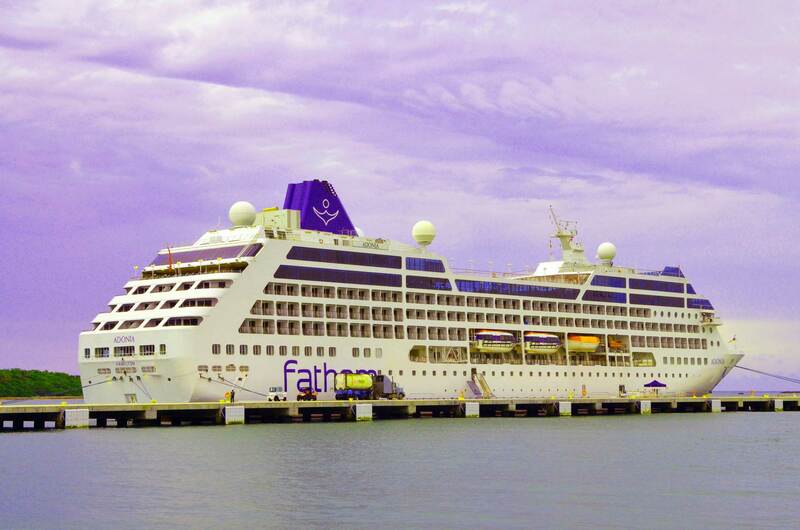 Fathom Cruise organization is offering special prices for upcoming sailing dates. Nope..we don’t make any money off it :-) . You can read all about Fathom on Adonia here. Make sure and check out the good work they are also doing in Cuba :-) . 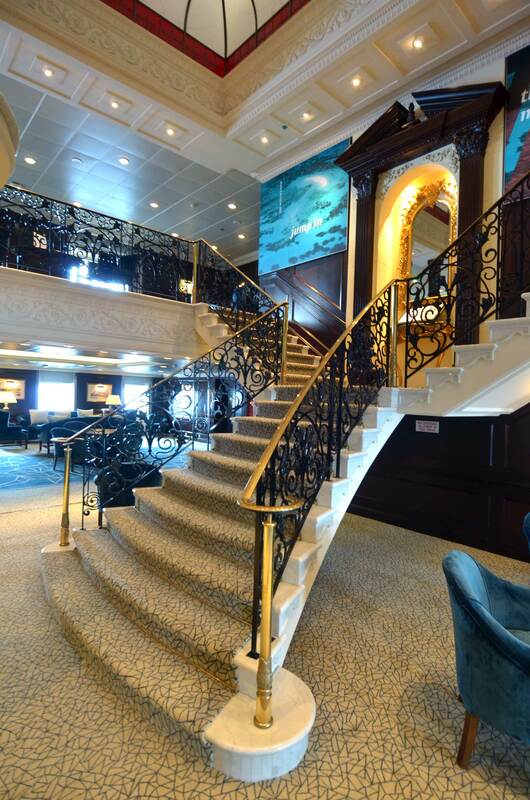 What do you think of this new Fathom Cruise experience? Does it sound like something you would like to do? Have you ever done volunteer work? If yes, what impact did it have on you? Would you recommend this sort of travel? 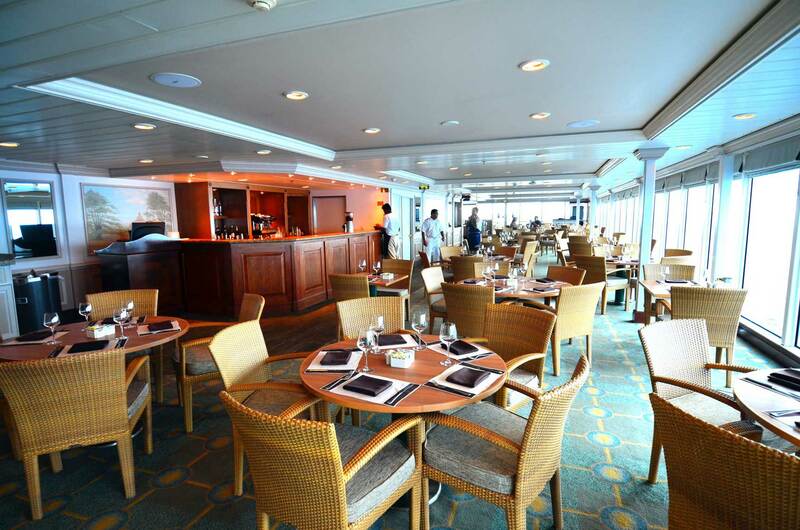 NextFoodies Cruise – What we ate on the Adonia! Borough Market, London – Foodies delightful visit. Reverse culture shock back in the USA? Thanks for the input Steph. Really, a cruise like that ..one shouldn’t complain about silly things :-) . It really does make you appreciate life and things more and it is a great way to lend a helping hand. Cabin with balcony? ?..Now that’s living. All l could do was put my face on the window..haha! ;-) . Thanks for the compliment. I never heard of this tour. It drives me crazy when people complain about the littlest thing. Jesus people, put your life in perspective! Your room is actually quite big. I’ve only seen those tiny rooms with potholes before. Loved the pic of you in the dress! I love this, Kemkem! I’m a big fan of voluntourism which one of my readers once told me is a “dirty” word. I disagree. I think you can volunteer on your vacations responsibly, and I think this is a great initiative by Fathom. I’d love to take a cruise like this someday, especially since I haven’t taken a cruise yet! I think I would’ve chosen the same activities as you. 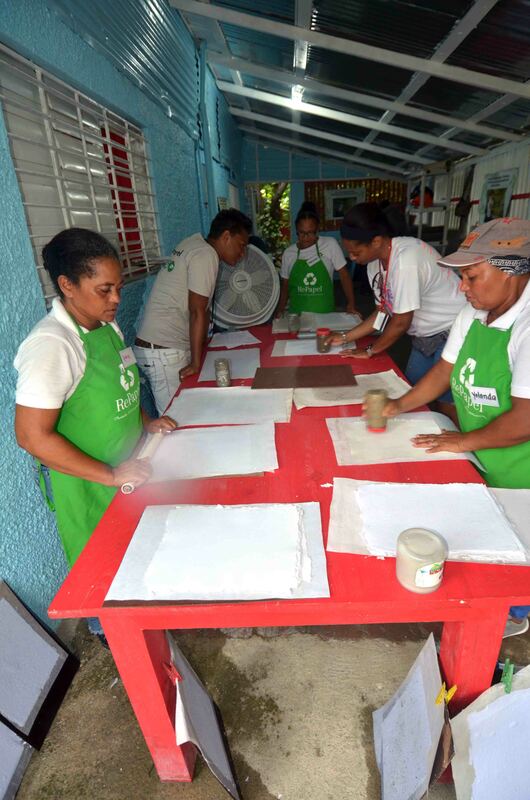 The process of recycling paper is so interesting – who knew? I’ve volunteered during vacations several times – once in the DR where we spent a day beautifying a neighborhood baseball field alongside a local youth baseball team. It was so rewarding and a great way to learn more about the culture and connect with locals than you would on a regular vacation. I’m curious to know…do you think you’d volunteer during shorter getaways from your home base in Spain? Nice post Kemkem, feels good to help those less fortunate. And seems you got to meet Dominicans outside the tourist trade (which is all that most people ever meet). Haha! They did have turn down service.. I shooed him away at least 3 times.. I’m like we’ve barely slept on the bed or had time to mess it up :-). It was lovely meeting the locals…They were like.. “you look like us” :-) ;-) , so of course l felt l had to work harder to keep up..haha! This sounds like such an amazing experience! I love all the ways you can volunteer! I had no idea that’s how recycled paper is made. 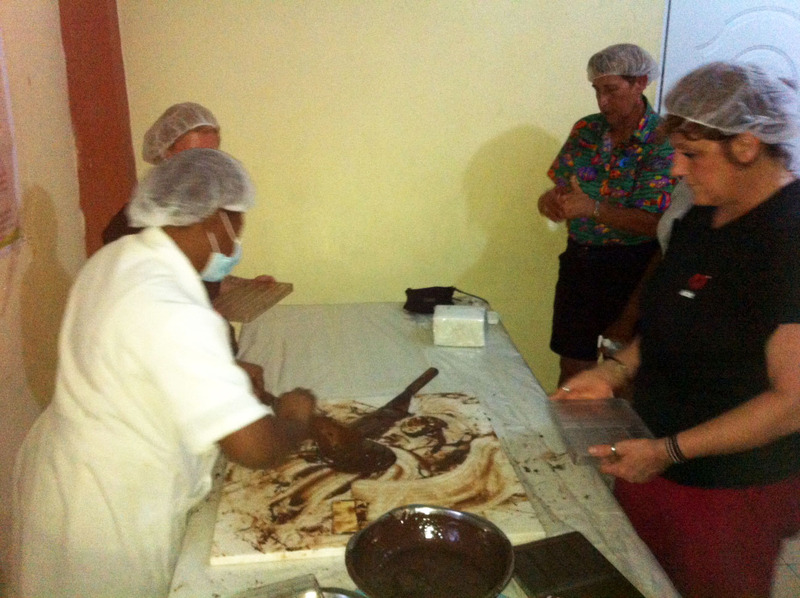 I also loved the entrepreneur spirit of the Ladies with the chocolate business! 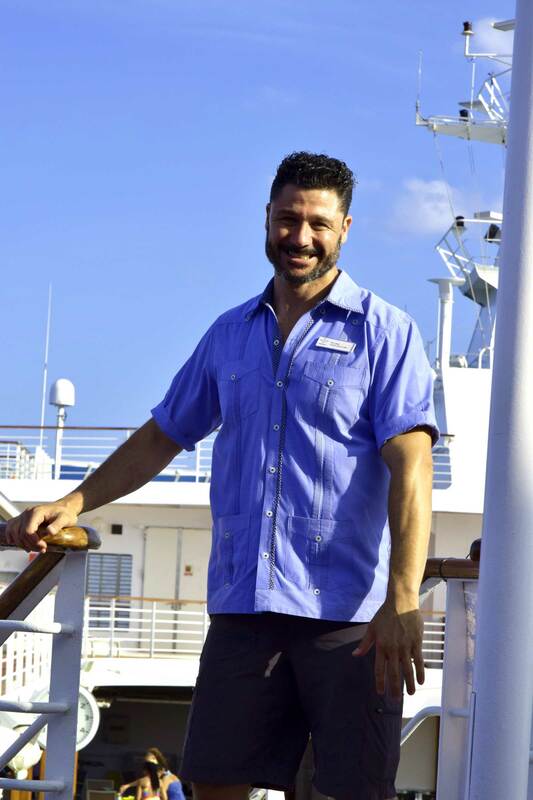 I enjoy cruising and I think its great for this type of cruise to be more intimate where you get to know fellow volunteers and staff. This is definitely traveling deeper and meaningful memories that will last a lifetime! It was a great experience. You are bound to find something that interested you. That recycling was labor intensive, especially the filtering as you had to hold it very still for the excess paper to drain out. I bet there are more efficient ways to process, but they have a very limited budget and still owe the bank for the few things they use. They are extremely determined women, one had 4 kids and 10 grandchildren and was so grateful that she no longer had to travel long distances. The size of the ship was perfect, it really was intimate. We really liked it. Haha! How could you not sing the theme song? :-) We did it for like 2 weeks before departure, especially because it was Federico’s first cruise and he only knew the song in Italian. He couldn’t get enough of the English version.. :-) (sounds awful in Italian to me!). I think 5 weeks would have done me in too seeing the disparity. I think that is one of the reasons l never go home for more than 3 weeks at a time. It bothers me, but l would be penniless if l stayed longer at any one time. It was so nice meeting the actual people. A lot of times, we found ourselves waving to so many people on the side streets who looked forward to the buses coming and you could see the joy in their faces. I think the more this happens, the more people are going to take the English classes. It always takes a few brave ones to start the movement. I’m glad you got to see the other side too. It really opens your eyes and makes you think. Wonderful photos! I haven’t been on a cruise since I was 16. It was such a great experience. I definitely want to try it again soon! Love everything about this post! Looks beautiful and I love all of the things that you did while on this vacay! Sounds like it was a great experience! HUGE Fan of cruises and what a worthwhile experience. I would consider this in the future. 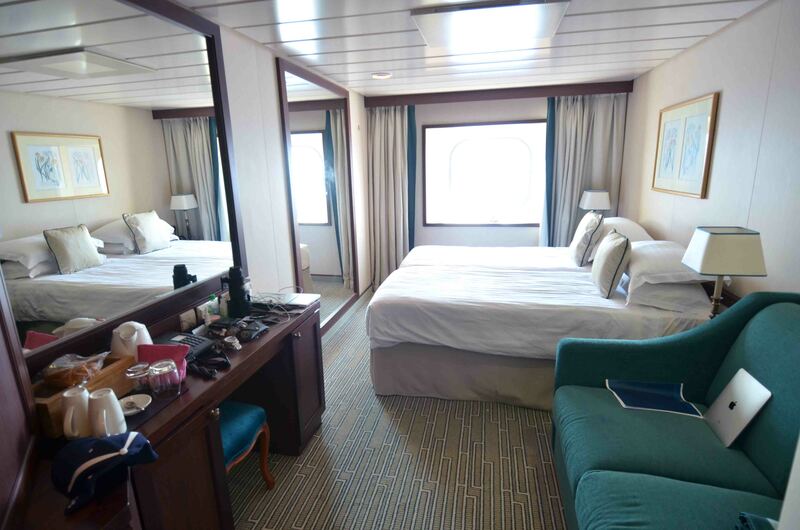 I’ve never heard of the Fathom cruise but boy those rooms are huge! I usually don’t like small spaces but I’d look into this ship. I think you hit the nail on the head with “purposeful travel”. I made a post last year about my issues with visiting the DR for destination weddings, however I have come to the conclusion that I would visit the DR for a mission / service-based trip only. Thank you so much for sharing. This has truly touched me and I intend on sharing. I’ve also never been on a cruise before, but if I break that seal, this will be the way I do it. Thanks Courtney. I really appreciate your kind words. It felt really good to be helpful to those women. It left them time to do what they did best and helped increase their production. Quite the difference from our last trip to the DR for sure. I hope if and when you break the seal on cruising (love how you put that :-) ), it will be on one of these purposeful travel cruises. This would be something I could suggest to some of my friends who both vacation and do missions, combining them both. It sounds like when you helped, you actually feel like it helped. Maybe I could get them to skip the Disney cruise… Maybe you said and I missed it, but do the just go to DR–or are there other islands as well? I watched Love Boat re-runs every afternoon after school. I loved them. Realize now I didn’t catch half the humor. Ha! I will definitely mention this to anyone I hear who is planning a cruise, and it seems I know a lot of people who do that. I really like this idea of putting the cruise ship passengers to work. As tourists, we take so much (people’s energy, precious water, food and other resources, electricity and all the comforts we think we “need”) and yet we delude ourselves into thinking that we are contributing somehow. It always hurts me to see how the people behind the hotel facades live and how most people don’t give it a second thought. So I am really glad this cruise ship company is trying to attract a different crowd to give people a sense of contribution. Boom! You said it all, and said it well :-). When we learn to separate our needs from our wants, we finally realize just how lucky..and yep..wasteful we are. I can’t help looking behind the facade. I was lucky in that by the time l was born, things had turned around just a tiny bit for my parents. For years, the whole family lived in one room! 6 kids and parents. My dad put a sheet on the line to get some private space so he could get work done fixing up old car spare parts. I’m glad this sort of cruise is happening too.. fun and help combined. What an interesting approach to travel! I would definitely love to see this explode and become more popular: I would certainly love to do something similar and I sure am not the only one. This not only gives you the feeling that you managed to accomplish something during your trip – aside from feeling great and exploring a nice country – but also help you get in touch with locals and experience, even though just in tiny amounts, the life of a local, which is also extremely important. I am really happy to have found out about this type of tourist and I will surely put this on a list: it’s definitely something that we have to do! And in the end, I am really happy to see that you had a great trip and the lack of WiFi was so worth it! Yeah. I was really happy to find out about this sort of travel. I only knew of the ones like the Peace Corps. One of our guides had actually started out doing that with the Chocolate company and he lived with the locals for the last 2 years, just steps away from the tiny building. His time ended in May but he decided to stay on the island and keep working with Fathom. I really hope more people do this. it was worth the lack of wifi for sure.. Haha! You really did feel like you helped a little. Wow! I haven’t been on a cruise in forever but this seems awesome! I love how they give back to the community. I was just in DR during the end of May and it’s sad to see the poverty. That is great that you got to go. I know a bunch of people who were supposed to go and were upset because they didn’t have everything right for them and no one went. Oh yes, this is definitely something I would do. Giving back is really important to me, so a few bathrobes or the lack thereof is a minor matter. That’s cool to hear. It’s all about heart. I think l would be okay with a few inconveniences myself to get the experience. Besides.. l wasn’t expecting a robe ;-) . This is really touching, well done for trying to make a difference, so many of us are aware of the inequality but how many actually take action? I hope the project continues to empower the Dominican people; no one should live without the essentials. The cruise ship looks beautiful, I’ve still never been on a cruise. I adore the local experience that you got to have. I had no idea this was one of the jobs they have. I’m so appreciative for life a bit more. I have to admit the ship was so cute, and stately. 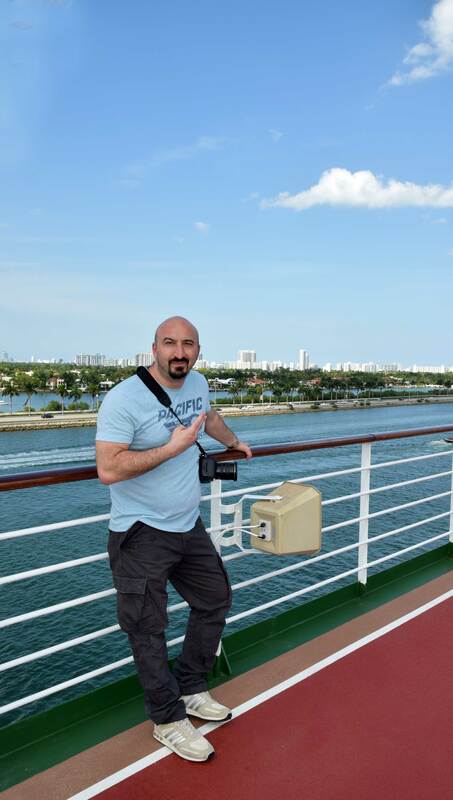 It was Federico’s first cruise and he had never wanted to go on one before thinking he would be bored..etc. Turns out he loved it, and wants to cruise more. Yeah..it really does help put things into perspective. We are indeed lucky. I’m not a huge fan of cruises as I think they make a negative impact on the local community. Having said that, I have been on a cruise, but it was in Egypt, it was for a week, and we were only 100 people, with me being the only British person, and the only person of colour (outside the staff). They loved having me on board and couldn’t do enough to show me Egyptian culture. Anyway, I like the idea of the Fathom Cruise experience, helping out the local community, and doing something that they really need. I used to be a Director of a shelter for women who found themselves in vulnerable positions in England, I was involved in a school community project in the Czech Republic, I taught local women basic English in India and in Vietnam, I’ve given toys, games, and books to child-care facilities in Berlin, and I’m also a Committee Member as well as the Organiser for “Friends of Scouts” fund-raising for the Boy Scouts of America! It seems that I’m quite good at raising money and pledges from wealthier people and businesses lol! That’s the spirit! How fantastic that you have done so many things to help pretty much everyone :-) . Very commendable. I’m not really good at fund raising, but am good at helping out. Used to do it at the beagle rescue shelter where we adopted our dogs and other things. It’s always fulfilling. Yeah.. l think helping out the community via fathom is awesome, every little bit helps. Your Egyptian cruise must have been awesome. It’s always funny when you find yourself to be the only person of color apart from the staff isn’t it? :-) ;-) . Wow a cruise and a mission trip at the same time. Love the concept and this is amazing I definitely will be looking into how I can get on a Fathom Cruise in the future. 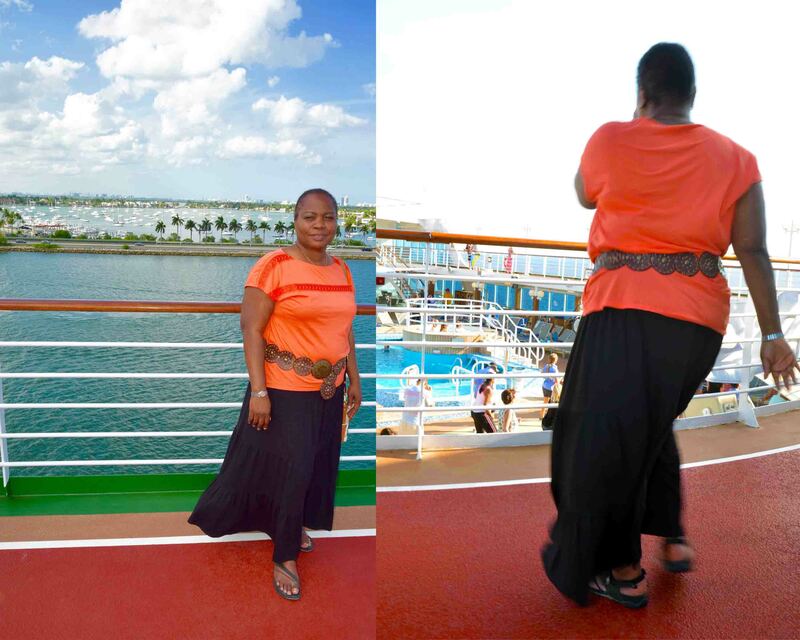 Was on the same cruise…perfect review! Aww..thank you so much. I’m glad you find it a true account of the experience :-).